The sixth round of renegotiations of the North American Free Trade Agreement (NAFTA) recently concluded without major headway providing confidence an agreement is near. 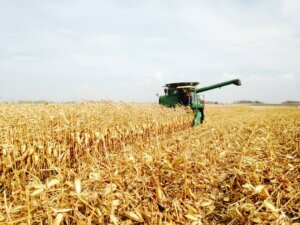 However, the productive conversation and signs the concerns of the ag community are being heard have been encouraging, according to Melissa Kessler, director of strategic relations for the U.S. Grains Council (USGC). Farmers nationwide united on Twitter yesterday to make their voices heard on the importance of NAFTA to agriculture. The grassroots advocacy campaign included farmers of all backgrounds, legislators and multiple ag and business organizations proclaiming the economic impact of the free-trade agreement using the #Farmers4NAFTA hashtag. 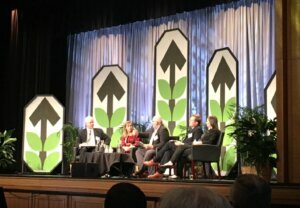 AgriGrowth held its annual meeting last week in the Twin Cities, bringing together representatives from agriculture and the food systems industry. With the renegotiation of NAFTA front-of-mind for many in the ag sector, the meeting kicked off with a panel session on trade and what is at stake for U.S. agriculture. The fourth round of NAFTA renegotiations between the United States, Canada and Mexico ended earlier this month with little progress made in efforts to revamp the free trade agreement. 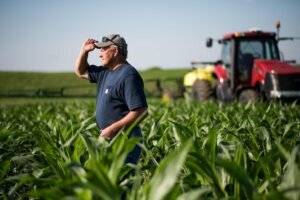 The stalled negotiations have been a source of worry for farmers, who are understandably concerned about tariffs in a non-NAFTA world. 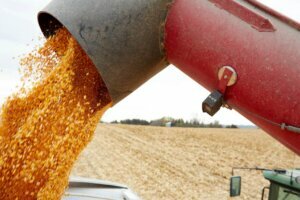 Not so fast, however, according to Thomas Sleight, president and CEO of the U.S. Grains Council. Sleight said four rounds of negotiations with little progress is actually fairly normal in renegotiating a trade deal of this size.